Norway is known for its tales of trolls, but a long oral tradition also exists surrounding the Hidden Folk. Huldra the elf-maiden, who is sometimes helpful and sometimes dangerous, is one of the best known characters. Huldra appears in the novel Kristin Lavransdatter as the elf-maiden that attempts to lure a young Kristin into the forest. 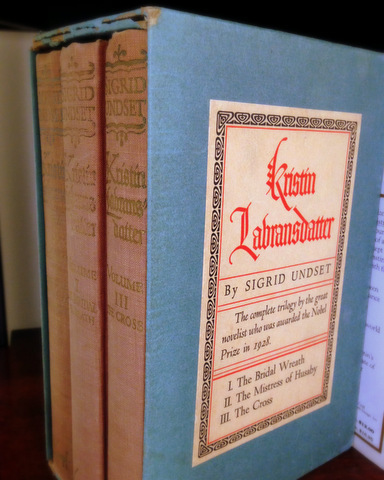 Kristin Lavransdatter by Sigrid Undset. I know there is a newer translation, but I absolutely adore my 1946 edition. “She stooped over the water and saw her own dark image rise from the bottom and grow clearer as it came to meet her—and then in the mirror of the pool she saw another figure standing among the birches opposite and bending toward her. In haste she got upon her knees and gazed across. At first she thought it was the rock and the bushes clinging round its foot. But all at once she was aware of a face amid the leaves—there stood a lady, pale, with waving flaxen hair—and great, light-grey eyes and wide pink nostrils. . . She was clad in something light, leaf-green, and branches and twigs hid her up to the broad breasts, which were covered over with brooches and sparkling chains.” —From Kristin Lavransdatter by Nobel Laureate Sigrid Undset. 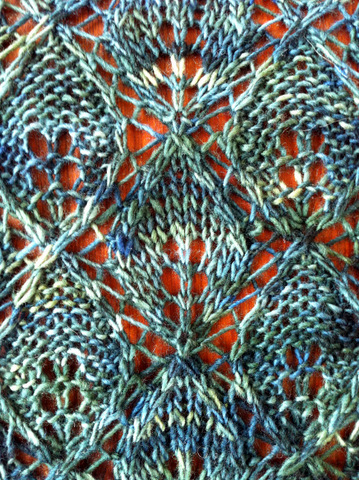 So, when I decided to design a project for the upcoming publication, Enchanted Knits, Undset’s Huldra surfaced in my mind. 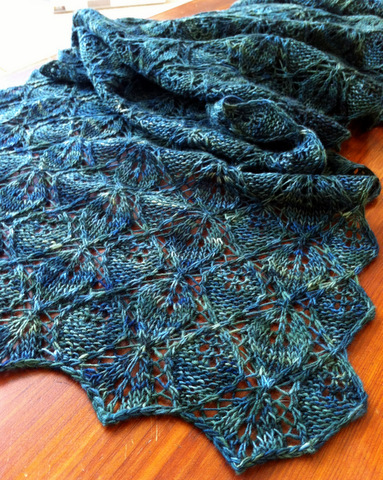 I set to work developing a lace pattern with a reversible birch leaf motif. 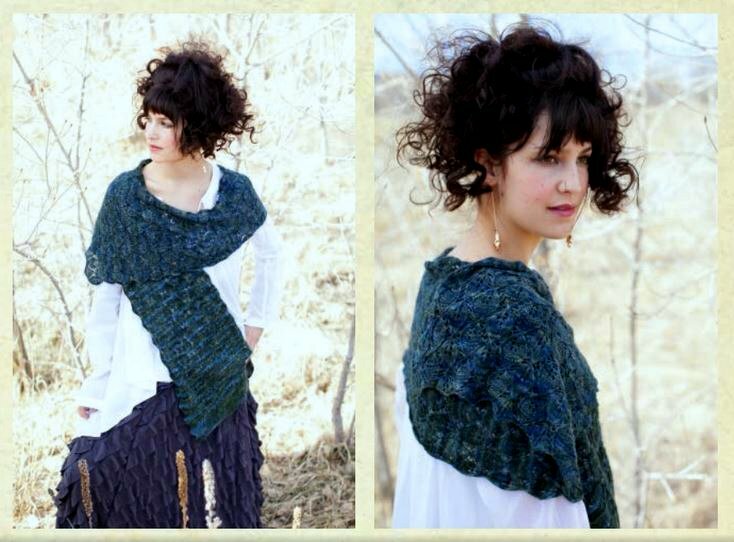 Enchanted Knits 2014 Photos: Christa Tippmann. Find more information about this pattern on Ravelry.com. Written in 1920, Kristin Lavransdatter is an epic historical novel set in fourteenth-century Norway. The story follows Kristin from childhood through a lifetime’s struggle with love and loss. Author Sigrid Undset (1882-1949), the daughter of a Norwegian archaeologist, was awarded the Nobel Prize for Literature in 1928. Spinzilla: How much fiber do I need?